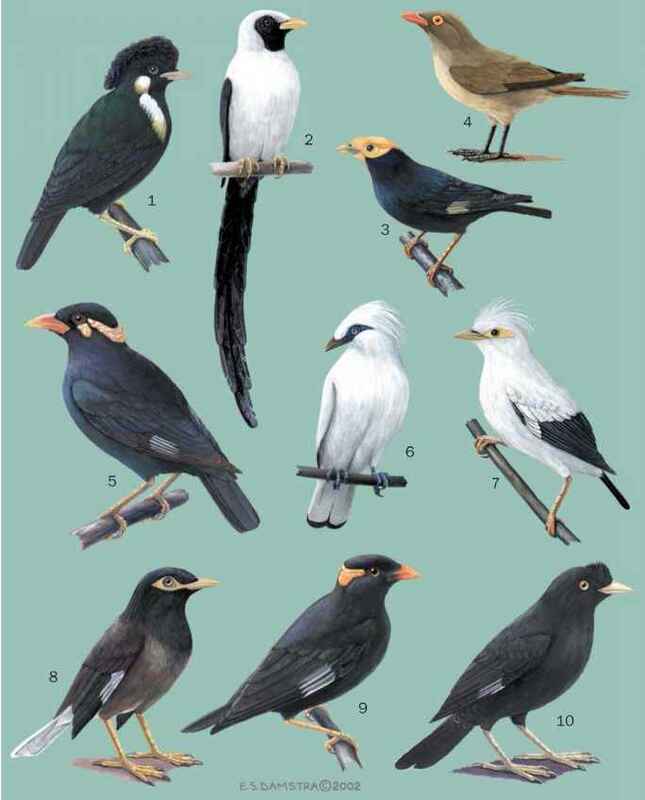 Fringilla albicilla Lesson, 1830, Bay of Islands, North Island, New Zealand. French: Mohoua à tête blanche; German: Weissköpfchen; Spanish: Cabeza Blanca. 5.9 in (15 cm); female 0.4-0.6 lb (12.3-16.4 g), male 0.6-0.7 oz (16.6-19.3 g). Light reddish brown nape and upperparts with white head to creamy underparts. Native forest and scrub, occasionally woodland and exotic pines, up to 4,620 ft (1,400 m). Very social in nonbreeding season, with flocks up to 70 birds. In breeding season, form family parties and flocks of up to 10 birds. Eat insects, as well as seeds and fruit, foraging from ground to canopy. Most prey gleaned from foliage and branches. Bills used to flake off bark fragments. The nest is a compact cup in which two to four eggs are laid. Eggs variable in color from white to deep pink with yellowish to reddish brown markings. Male and female, or mainly female, incubate for about 17 days with fledging at 16-17 days. Nest commonly tended by three to four birds, including helpers. Not threatened. 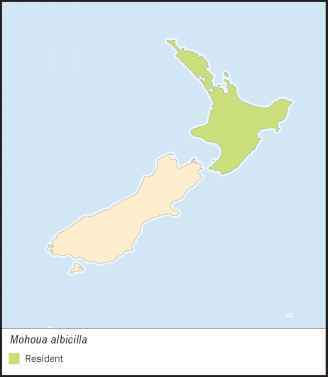 Once abundant across North Island, now in moderate numbers only in forested areas. Plentiful on some offshore islands.